We were delighted to be asked recently to create an image for some wedding stationery. 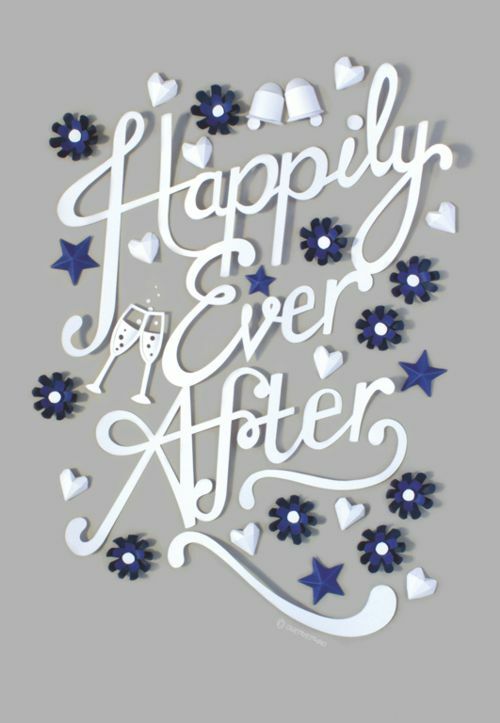 We based the design on the phrase ‘Happily ever after’, very fitting for a wedding. The image was used on all invitations, menus, table plans and thank you cards. 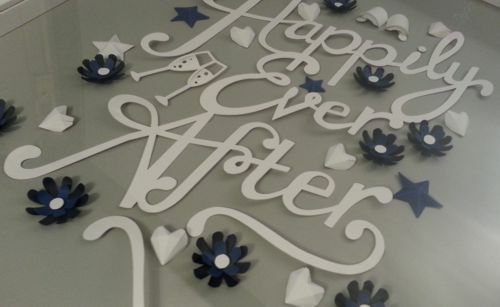 We also framed the original paper sculpture for the couple as a piece of art in it’s own right.